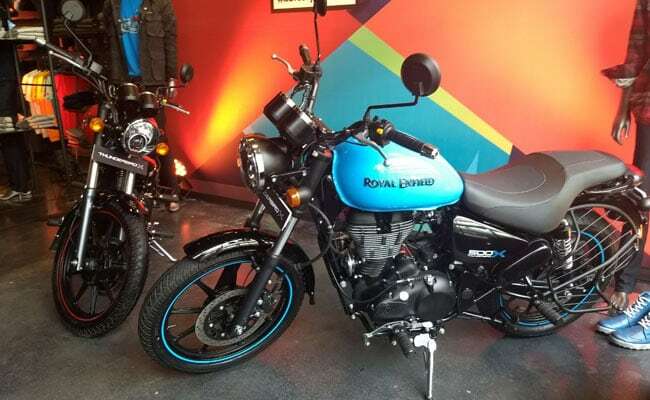 In its board meeting on Wednesday, the two-wheeler maker Eicher Motors announced Rs 110 dividend on a share of Rs 10, giving a dividend of 1,100%. The net profit of Eicher Motors remained flat at Rs 461.53 crore in the fourth quarter of 2018 against Rs 459 crore in the fourth quarter of 2017. The company issued and allotted 10,085 equity shares of face value of Rs 10 each of the company to persons exercising options pursuant to employees stock options plan of the company. The company decided to wind up a joint venture entity called Eicher Polaris with immediate effect. The company incurred a loss of Rs 187 crore that has been shown as exceptional nature loss in the fourth quarter in this joint venture. This is over and above the share of loss of Rs 124.95 crrore recognised from the commencement of operations of the company in June 2015 till December 2017. "The board of directors recommended a final dividend aggregating Rs 299.81 crore at Rs 110 per share for the financial year 2017-18, while the final dividend paid for previous year was Rs 272.22 crore at Rs 100 per share," said Siddhartha Lal, managing director of Eicher Motors. Total revenue in the fourth quarter rose from Rs 2,132 crore in FY 2017 to Rs 2,528 crore in the Q4FY18. The company's annual net profit stood at Rs 1,712.91 crore for the year ended on March 31, 2018 up from Rs 1,560.02 crore logged during the previous fiscal. The profit would have been much higher had it not been for the impairment loss of Rs 311.98 crore following the decision to wind up the joint venture company Eicher Polaris Pvt Ltd last fiscal. During the year under review, the company earned a total income of Rs 9,544.24 crore, up from Rs 8,171.37 crore earned for the year ended on March 31, 2017. The planned capacity for FY 2018-19 is 950,000 units. Last fiscal, Eicher Motors sold 820,121 units, up from 666,135 units sold during 2016-17.